​Fuelling The Greed: Are You Persuaded By Marketing? 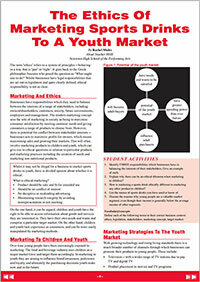 Fuelling The Greed: Are You Persuaded By Marketing? In this third article about the Seven Sporting Sins, the Australian Dental Association examine the influence of marketing on our consumption of foods and beverages that have the potential to damage our teeth. 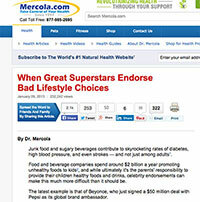 Companies spend millions to promote sports drinks, and often use well-known sporting celebrities in their ads. Unfortunately this advertising can be very deceptive, and can make sports beverages and other foods and supplements seem more healthy than they actually are. This article (click here) also highlights the influence of “role models” on consumer’s attitude towards buying of food brands. 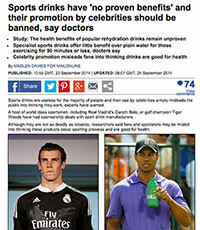 This article by Mail Online (read it here) calls for banning of celebrity endorsements of sports drinks, as suggested by Simon Outram and Bob Stewart of the Institute of Sport, Exercise, and Active Living, in Melbourne Australia. 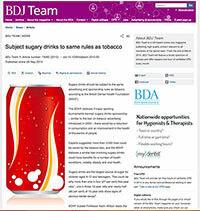 This article by the British Dental Journal’s Nature Online Magazine (read it here) calls for a ban on advertising sugary drinks, noting that “if major sporting tournaments banned sugary drinks sponsorship – similar to the ban on tobacco advertising, there would be a reduction in consumption and an improvement in the health of thousands of people”. We’re keen to encourage all Canberrans to be healthy and active! If you have any questions about sports drinks and its effect on dental health, ask any member of our friendly team. 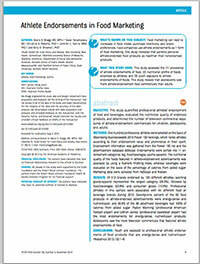 Previous Post: Sports Gluttony: How Many Acid Attacks Are You Having?